Film director Penelope Spheeris, director of "Wayne's World," will screen her acclaimed trilogy of documentaries, "The Decline of Western Civilization," on Nov. 13-14. Film director Penelope Spheeris will screen her acclaimed trilogy of documentaries, “The Decline of Western Civilization,” on Nov. 13-14 in White Hall 208 as part of a series of events sponsored by the Department of Film and Media Studies and the Center for Creativity and the Arts in Emory College. Spheeris is the director of “Wayne’s World” and numerous other cult films. Spheeris also will take part in a Creativity Conversation, “Penelope Spheeris: Movies and Rock n’ Roll,” at 4 p.m. on Nov. 13 in White Hall 205 with Department of Film and Media Studies senior lecturer Eddy Von Mueller. Often referred to as a “rock ‘n roll anthropologist,” Spheeris started her career by forming the first Los Angeles music video production company in 1975, Rock ‘N Reel. Spheeris' feature film debut in 1979 was “The Decline of Western Civilization,” a documentary on the Los Angeles punk scene. Following this, she wrote and directed “Suburbia,” which won first place at the Chicago Film Festival. She released parts two and three of “The Decline of Western Civilization” trilogy in 1988 and 1998. 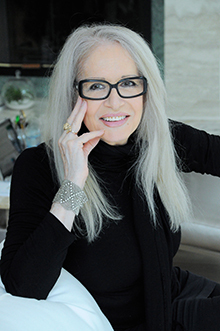 “Penelope Spheeris is a pioneering filmmaker who has made a broad range of compelling films in multiple genres over the years. We are thrilled to have her on campus talking about her esteemed career and screening her groundbreaking 'Decline' documentaries,” says Michele Schreiber, associate professor of film and media studies, who organized the events. 7:30 p.m.: Screening of “The Decline of Western Civilization, Part I,” with an introduction by Spheeris followed by Q&A with the director, in White Hall 208. 4 p.m.: Screening of “The Decline of Western Civilization, Part II: The Metal Years,” with an introduction by Spheeris followed by Q&A with the director, in White Hall 208. 7:30 p.m.: Screening of “The Decline of Western Civilization, Part III,” with an introduction by Spheeris, in White Hall 208.